Employers in the United States have a duty to a reasonable standard of care in employee relations. Human resource management of employee benefits and entitlements includes obligation to a duty to safety. Workplace accidents are one of the lead sources of injury in tortious liability cases. The risks present in unsafe work environments means that employers must fulfill occupational health and safety rules in program oversight, audit and reporting to meet regulatory compliance. The fact that industrial settings such as energy plants, factories, and warehouse work facilities report a higher number of injury on the job in aggregate than other sectors, illustrates the probability that a worker will suffer injury or related illness due to environmental exposure than in other workplace environments. The Glen Ellyn personal injury attorneys at Rosenfeld Injury Lawyers LLC provide legal representation to residents and visitors of Glen Ellyn, Illinois injured on the job or in serious accidents. Did the negligent actions of others cause your loved one severe injury or lead to a wrongful death? If so, our legal team encourages you to speak with our attorneys in a free case consultation to discuss your legal rights and options. We accept all cases through contingency fee agreements where payments for legal services are postponed until after we have resolved your case through a negotiated settlement or jury trial award. We offer every client a “No Win/No-Fee” Guarantee, meaning if we are unable to obtain compensation on your behalf, you owe us nothing. If you are an employee seeking remedy for injury on the job, consultation with a Glen Ellyn accident lawyer can provide you with the information you seek about filing a liability claim. If you decide to go forward with a tort liability lawsuit, there are a few things you should know about case preparation. Insurance companies normally offer settlements where strong evidence is provided during the preliminary hearing of what may become an even more costly employer liability case. The Occupational Safety and Health Administration (OHSA) provides recommendation and guidelines to audit of workplace safety. While OSHA does not mandate specific compliance processes in audit of industrial settings, the Administration’s guidelines offer general framework to organizational development of checklists and reporting standards. Most U.S. companies also conform to the International Standards Organization’s (ISO) rules to monitoring and audit of hazards in workplace settings. Industrial accidents can lead to extensive physical damage and related intangible detriments in the form of medical expenses and aftercare. Lost time at work may compound an employee’s losses post a workplace injury. An injury lawsuit can provide remedy to those substantial detriments if it is determined that an employer was not in compliance with minimal standards customary to a duty to a standard of reasonable care in an industrial setting. Employers evidenced not to comply with OSHA and ISO standards for safety will generally be found liable for incidents on the premises of their organization, or during the course of the workday. A liability attorney can represent an injured worker by establishing that evidence of cause-in-fact. Precedent of similar tort cases citing negligence by an employer will typically be referenced by a judge presiding over a liability case. The most common circumstances evidencing employee accident claims involve failure of forewarning by an employer, a rule element to negligence. Poor communication of hazards by an employer may be accompanied by recklessness. Once an employer is deemed to have acted recklessly by a court, an employee citing injury from electrocution, chemical burns, inhalation of pollutants, or physical damage caused by an accident. Risk calculus applied to determining the cost or risk of prevention to cost or further risk to employee safety almost always serves the plaintiff. Allegations of improper risk management by employers is one of the single most effective liability claims for sustaining compensatory remedies. 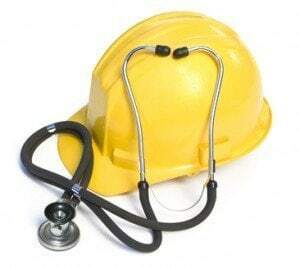 Industrial injuries generally receive close attention by courts in consideration of an injury claim. Industrial accidents are often more serious than injuries sustained in other workplaces. Due to the severity of such incidences, a plaintiff will benefit from the counsel of an attorney experienced in tort liability cases. If you are seeking a Glen Ellyn accident lawyer, Rosenfeld Injury Lawyers LLC offers a solution to clients worried about the additional detriment of attorney fees. Rosenfeld Injury Lawyers LLC can represent you in winning a workplace accident lawsuit. We have solid reputation of succeeding in litigation. Our fees are guaranteed at time of settlement or remedy. No out of pocket expenses until a judge affirms your liability claim. Contact us to find out about our contingency payment plans.